I have a running list of comments, phrases, and one liners from Madison that I keep in my phone. I started collecting them when she started talking because almost as soon as she said something that had me laughing hysterically, she said something else funny that made me forget it entirely. I'm not sure if these are amusing to anyone else or just my wife, Allison, and me since we're her parents, but I have a feeling we'll look back one day enjoying that we captured some of her random comments (click here for more). MADISON: Is the coffee table made of coffee? MADISON: So it's really just a little table then. Weird. MADISON: I need to change into something more fashionable. MADISON: Pan of high ninas! 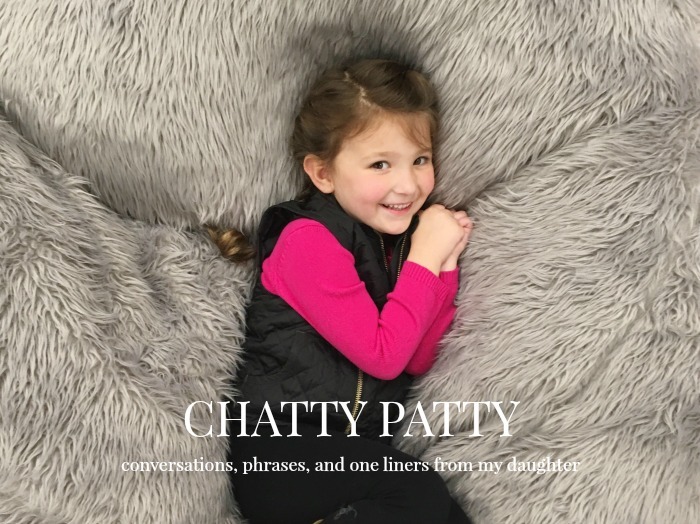 MADISON: It's a Chatty Patty, just put it in your phone. MADISON: I was a little shy that time. ALLISON: It's okay. I get shy, too, sometimes. MADISON: Even though you're a mom? Moms aren't shy. MADISON: Can I change into a ball gown? MADISON: I have an urge to twirl.